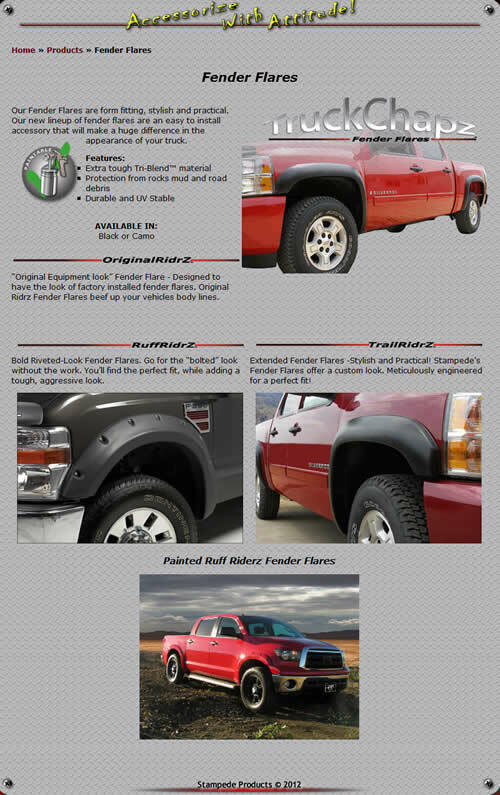 Looking for those fancy 'Fender Flares' you saw on your buddy's pickup? We have 'em. Right here. Made by 'Stampede', one of our favorite suppliers of quality truck accessories. Just take a look.